After a strenuous process—which included extensive interviews and vetting by the Nominating Committee—Marc won the nomination and was named IMA Chair-Elect, which meant he would be IMA Chair for 2016-2017. 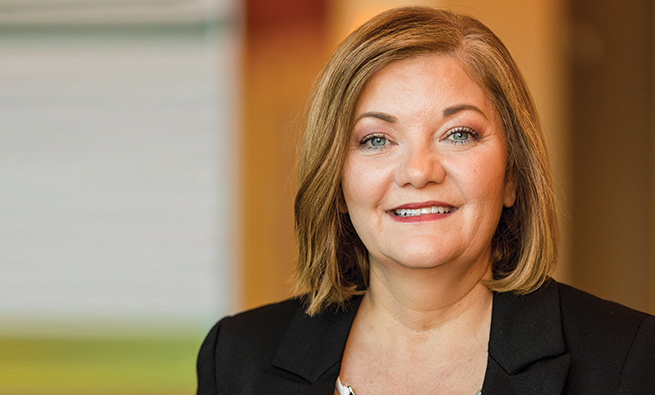 During the year ahead, he intends to help the association continue its successful execution of the strategic plan and help strengthen IMA’s position as the leading association for management accountants around the world. Born in the Bronx, N.Y., Marc spent most of his childhood in the Glen Oaks neighborhood of Queens, N.Y., where his family moved when he was three years old. He is the second of two children (he has an older sister, Reba) and grew up loving baseball, residing a short distance from Shea Stadium (which turned him into a lifelong New York Mets fan). Marc became acquainted with accounting when his sixth-grade class took on a year-long project to create an exact-scale replica of the 1964–1965 World’s Fair, which was going on at nearby Flushing Meadows. “Our goal was to capture every tree, every bench, every pavilion, in a 15′ 5 15′ model,” he explains. Some of Marc’s classmates designed, some painted, some stapled, and others glued. Those jobs weren’t for him. “I was pretty unartistic, so I think the class decided to keep me far away from the creative part of the project. They figured I’d be a great money guy, so I became treasurer,” he recalls. It was an important job: No adults were allowed to participate, so, at 12 years old, Marc was responsible for doling out hundreds of dollars and monitoring a year’s worth of receipts. The project proved hugely successful (in fact, the model was displayed at the Queens City Hall for many years), and, after that experience as the “money guy,” Marc continued to be interested in math during middle school. He did well as a student then and throughout high school, although he shifted his priorities somewhat when he became very active in sports, playing on his high school’s varsity baseball team. After taking the SATs during his junior year, Marc realized just how good he was at numbers, so he began to seriously consider a career in accounting. He wasn’t that familiar with the profession. No one in his family had studied the subject: His mom worked in a school as an aide, and his dad worked in construction. But he had a neighbor and a cousin who were accountants and had attended Rider University in New Jersey. When it came time to apply to college, Marc picked two schools: one nearby (Baruch College) and one farther away (Rider). The decision fell to Rider, so off Marc headed to New Jersey. In the 1970s, Rider ranked as one of the top accounting schools in the United States. 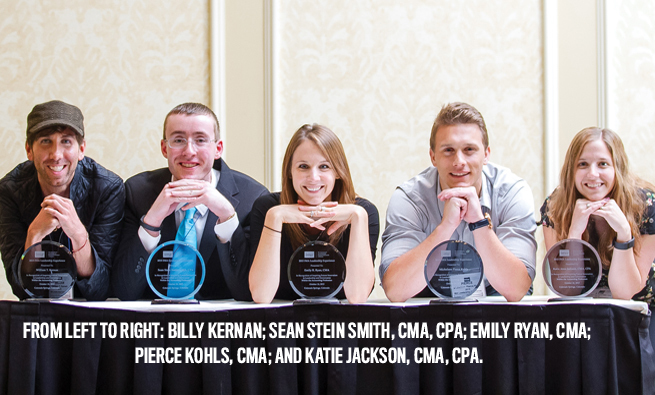 Of the 900 students in Marc’s incoming freshman-year class, 250 were accounting majors. But only a handful of those ended up as accounting majors at the end of four years, “probably the influence of high-school guidance counselors steering people into the profession,” Marc jokes. Marc studied accounting at Rider, but he also had a back-up plan: broadcast journalism. He served as the business manager for the college radio station and did play-by-play for Rider’s Division 1 basketball team. He also worked as the assistant to the university’s sports director and traveled with the men’s baseball, soccer, wrestling, and basketball teams. He enjoyed these roles, and they gave him some options. “My thinking was: ‘What happens if I don’t like accounting?’ I figured I could always pursue a career as a sports announcer,” he says. Marc received two job offers after college, both in Manhattan: working at WABC radio station, which covered New York sports and where he could use his broadcasting skills, or as a subsidiary accountant at the J.C. Penney Company, Inc. “The job at WABC paid $150 less a week than the job at J.C. Penney, and in 1973 that was a lot of money. It was the difference between eating and not eating.” The decision was made: After graduating with a B.S. degree in accounting in 1973, Marc took the job as a management accountant. His experience at J.C. Penney also introduced Marc to another important influence in his career: IMA. His boss was very active in IMA’s New York Chapter and invited Marc to join the organization, which he did in May 1975. 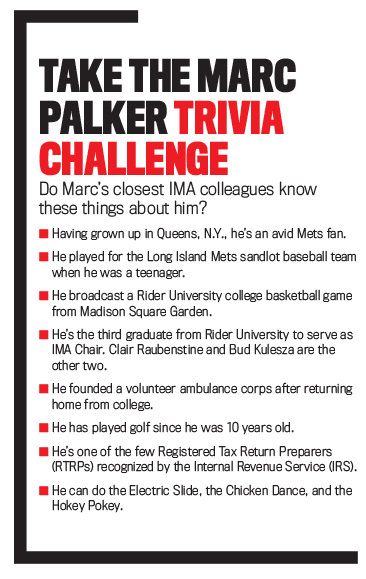 Marc was “all-in” with IMA from the moment he became a member and after transferring to the Long Island Nassau Chapter, where he served as chapter president from 1986 to 1987 and where he’s still active. Marc also was involved in IMA on a national and global scale, holding positions such as national vice president, national director, and national committee chair on the IMA Global Board of Directors. And he has been a member of IMA’s Member Relations Committee, Volunteer Leadership Committee, Planning and Development Committee, and Nominating Committee. Ernie advised Marc to take the first three parts of the exam before tackling the fourth (which, at that time, included the more technical subjects, such as decision-tree analysis, statistics, and the like). Marc followed that suggestion and used the MicroMash study method, which consisted of sample test questions on floppy disks. The test was tough, but, as Marc recalls, “It definitely aligned very closely with the kinds of work I was doing on a daily basis.” He passed all four parts by January 1991. Taking the exam certainly prepared Marc for the next phase of his career five years later: as a consultant. 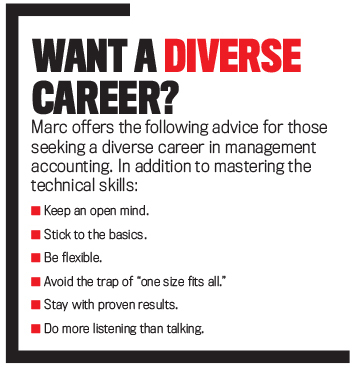 While Marc was serving as an IMA leader, he also was building a successful career as a management accountant. After leaving J.C. Penney in 1976, Marc held various roles ranging from international accountant to vice president of finance. His first CFO position was in 1988 at Firetector, Inc., a fire-safety company based in Hicksville, N.Y. Among Marc’s proudest accomplishments at the company, he introduced a 401(k) plan with nearly 100% participation; he helped the company achieve a fivefold increase in profits at the Dallas, Texas, subsidiary he supervised; and he assisted in negotiating, completing, and managing three acquisitions. Encouraged by his colleague, Marc formed MPP Associates, Inc., a boutique consulting practice based in South Huntington, N.Y. His primary consulting clients were the companies operated by his colleague, including a start-up Internet company. From there, MPP’s client base expanded to include a NASDAQ-listed specialty food company, a large multinational conglomerate, and a NASDAQ high-tech bulletin board company. Marc also served in a consulting capacity as the vice president of finance and administration for an environmental company and as managing director of a professional services firm. 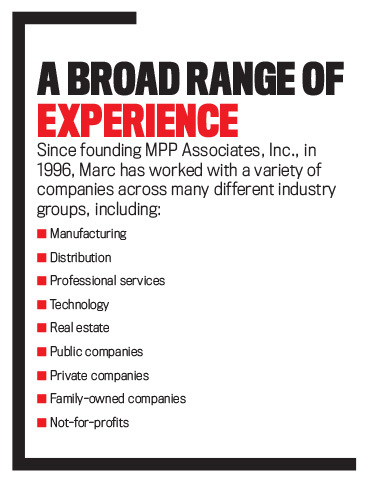 Marc is still the principal of MPP Associates (and he’s never had any other employees besides himself, although he does work with subcontractors). In this role, he serves as a consultant for public, private, and not-for-profit corporations as a part-time or interim CFO. 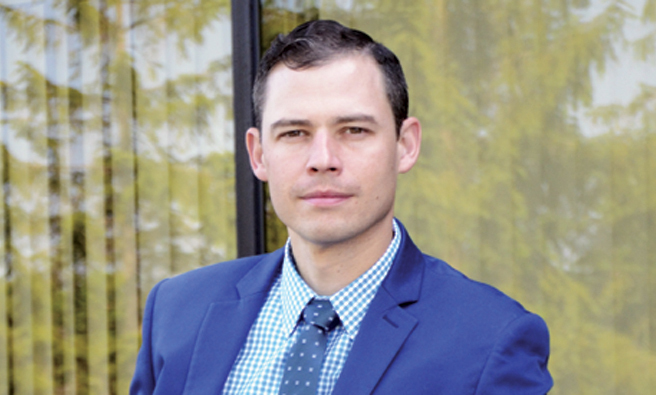 He’s had the opportunity to perform a variety of management accounting roles, not only in decision support and financial planning and analysis (FP&A) but also preaudit work, Sarbanes-Oxley Act testing, and mentoring senior financial officers. Most recently, for example, he served as the CFO of Dataram Corporation of Princeton, N.J., a manufacturer of high-quality computer memory and software products. His responsibilities there included managing the finance function, product costing and selling prices, and the company’s cost-reduction program. He also helped raise capital from sales of equity securities, a sale and leaseback transaction, and asset-based financing. Prior to that, Marc was a director at CFO Consulting Partners, LLC on Long Island, where he helped update internal controls, testing, and management reporting. That perspective will definitely be helpful in Marc’s new role as IMA Chair. Again, as a long-time IMA member, it was inevitable that Marc would consider serving as the association’s Chair. This isn’t his first stint on the Board: He has served several terms, including in 1994-1995 and in 2011-2012. Marc started his deliberation process during the 2014 IMA Annual Conference & Expo in Minneapolis, Minn. He began holding meetings with former Chairs to talk about what the role entailed and whether he might be a good candidate. “If I was going to do it, I wanted to do it right,” he notes. For Marc, that meant having the time to devote to travel, as well as to the many speaking and meeting engagements that are required of the Chair. Marc is confident that, as a consultant, he’s in a good position in this regard because he can usually control his own schedule. Among Marc’s priorities for this year (like the most recent IMA Chairs before him) are to expand the reputation and awareness of the CMA certification, the value of which he clearly appreciates, particularly the annual continuing education requirement. “It definitely forces me to constantly learn and stay on top of changes in the profession,” he emphasizes. He adds that there’s definitely room for more recognition of the CMA, especially in the U.S. “As a consultant, I get the question sometimes from potential clients. 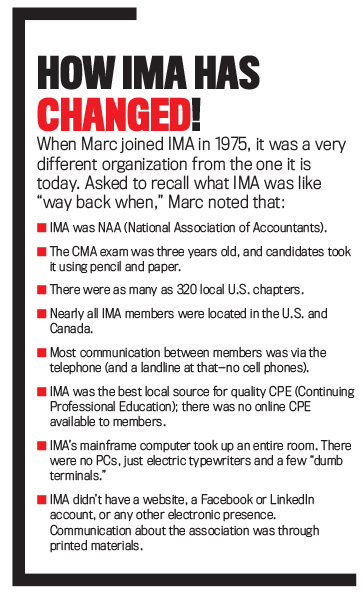 They see the pin on my lapel or the letters on my résumé, and they ask: ‘What’s this CMA?’ and ‘What’s the difference between the CMA and the CPA?’” Marc takes those questions as an opportunity to discuss the certification as well as IMA. Marc would very much like to develop joint education programs, joint research programs, and other collaborative ventures that address issues that affect members of specific industries or professional groups. He also wants to see IMA continue to gain traction internationally, noting that while the association has seen unprecedented growth in China, India, and the Middle East, there are still opportunities to expand in South America, particularly Brazil; in Europe; and in other countries in the Pacific Rim (Singapore, Hong Kong, Vietnam, for example). IMA isn’t the only nonprofit organization that has received the benefit of his expertise, as Marc has also been very involved with service to his community. That community involvement began in 1973 when Marc returned from college and moved back to Glen Oaks. When he learned that the neighborhood Little League he had once played in wanted to start and fund a men’s club, Marc took on the position of treasurer (with a nostalgic nod to his old job on the elementary school World’s Fair project). Under Marc’s guidance, the club set an ambitious goal: to fund a volunteer ambulance corps, the need for which was great given the slow response time of ambulances through New York City streets. As part of the initiative, all of the club members (including Marc) took certification classes of some kind—either first aid or driver training—to support the group. That ambulance corps still operates today. 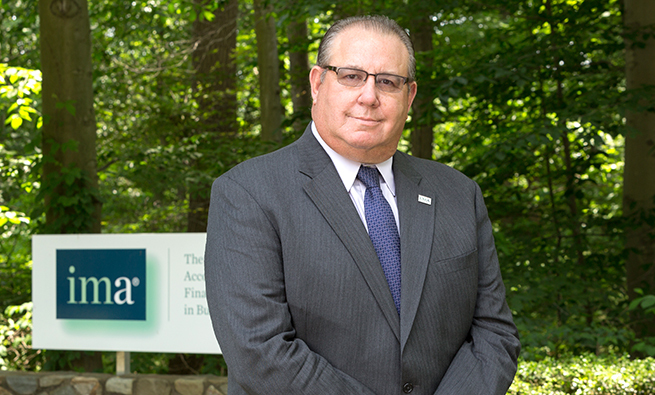 Over the years, Marc has served in a variety of other volunteer positions, including as a former board member of the Coalition against Child Abuse and Neglect, the Foundation Fighting Blindness, and the Long Island chapter of the Turnaround Management Association. In addition, he is a past president and current board member of the Accountant/Attorney Networking Group and former treasurer of the Huntington Arts Council. It was through his community involvement that Marc met his wife, Laura, who was a fellow board member of the Foundation Fighting Blindness. In 2001, they served on the same committee to organize an annual event for the Foundation, and two years later they were married. “Laura is very supportive of this new venture,” Marc says of his role as IMA Chair. She also has her own business—doing trade show exhibits—and that gives both of them very flexible schedules. Marc’s children are “long out of the house,” and he enjoys playing golf every chance he gets, a hobby he’s kept up since he was 10 years old. Congratulations. One thing has always confused me. With the cma program such a key part of the association, why is the name of the organization the ima. It would Seem that having one name such as the ima institute would be easier to market and promote your brand.